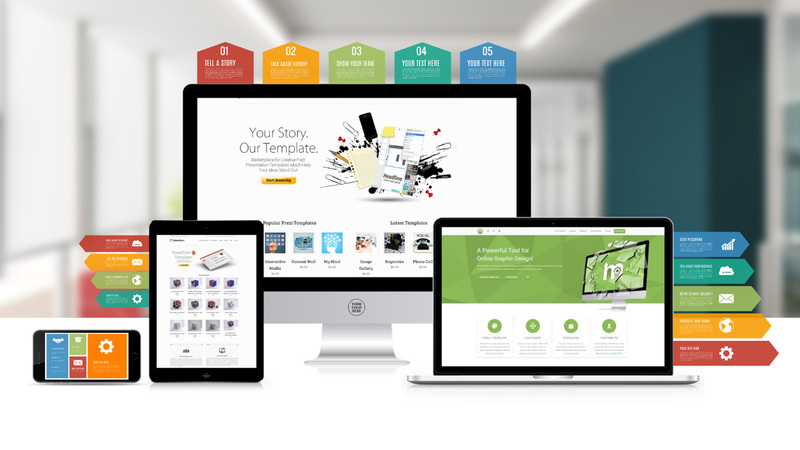 Prezi presentation template with the classic IOS Apple devices:iMac, iPad, iPhone and Macbook. A great template for presenting your company or brand. Insert your own images into the devices screens. Rearrange the elements and create your own layout. Use the colorful rectangle elements for your slide backgrounds. This entry was posted in Best Prezi presentation templates and tagged and, apple, apple devices, Backgrounds, backrounds, best, classic, colorful, colourful, company, create, creater, Download technology presentation, elements, for, great, imac, images, insert, ios, IOS presentation template, ipad, iphone, macbook, mobile devices, presentation template IOS devices, tech business ppt template, tech company prezi template, technology company presentation template, technology devices..